We’ve all heard the famous trading mantra – “The Trend is Your Friend”. But it is often impractical for traders to be manually scanning a long list of currency pairs to find tradable candidates. Traders need a systematic tool they can use to quickly locate trending pairs. Over the last two years, our senior mentor Frank Paul has vigorously tested and analyzed thousands of different scenarios (timeframes, analyses, and indicator combinations) to perfect a trading methodology which pairs the insight of Market Flow analysis with the convenience of a responsive multi-timeframe momentum indicator, yielding a trading system that is simple, effective and robust. 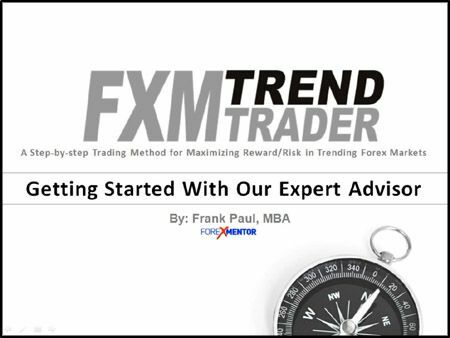 Frank Paul is one of the longest standing and most popular trainers at Forexmentor.com. He joined the Forexmentor Team in 2007, and has assisted thousands of Forex traders with his educational resources and services. They include FX SystemsLab Monthly, Fibonacci Swing Trader, Fast Track to Forex, Forex Profits with MACD, Forex Profits with COT and Forex Master Blueprint. He has also contributed on a regular weekly basis to the Forexmentor Daily AM Review since April, 2010. Frank has also presented live webinars and trading seminars. Frankâ€™s style is thorough and detailed, yet conversational and relaxed. Weâ€™re sure that you will find his easy-to-follow style a real benefit to your trading education. When not busy helping other traders develop their skills in tackling the global Forex market, Frank enjoys spending time with his family, mountain biking, alpine and cross-country skiing, playing classical piano, and listening to tons of great music. Frank obtained both his MBA and BA degrees from the University of British Columbia, Canada.